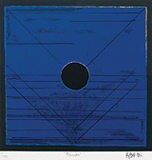 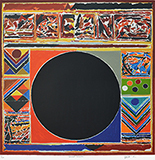 You searched for "S H Raza"
"The Bindu symbolizes the seed bearing the potential of all life" Sayed Haider Raza calls his work a "result of two parallel enquiries....- the "Bindu" (the dot or the epicentre). 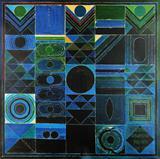 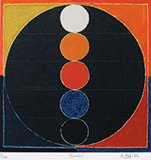 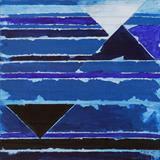 Raza's work has formalism for which he trained in France as well as the mystic aspects of Hindu philosophy. 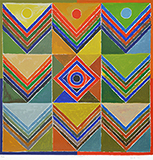 Manish Pushkale was born in Bhopal in 1973. 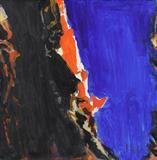 A trained geologist Manish also studied art at the art college in Bhopal. 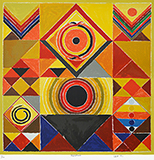 He is also a recipient of the S. H. Raza foundation award. 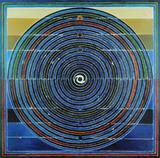 Pushkale has had solo exhibitions in Bhopal 1994 Delhi 1997 Pundole Art Gallery Mumbai 2003 and Paris 2003.